As AI initiatives shift from backroom experiments to boardroom imperatives, many organizations find their existing infrastructure ill-suited to help them make the journey. IT leaders are now under pressure to implement untested tools, circumvent proven processes, and shrink the timeframe from beta to production. 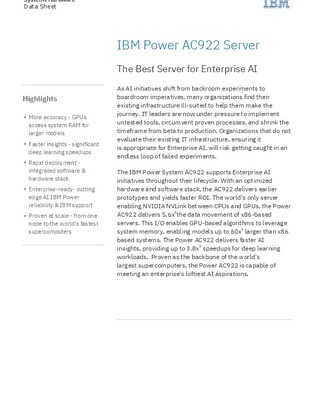 Organizations that do not evaluate their existing IT infrastructure, ensuring it is appropriate for Enterprise AI, will risk getting caught in an endless loop of failed experiments. IBM has a server solution that bolsters optimized hardware and claims to deliver earlier prototypes and yield faster ROI. Read on to discover if it’s right for you.